Fabienne Ellington has joined the world’s leading manufacturer of Thermoplastic Composite Pipeline (TCP), Airborne Oil & Gas, as its first Vice President Asia and Middle East. Her focus will be to drive the firm towards achieving its growth plans across the two regions. The Netherlands-headquartered company produces innovative pipeline solutions, including the world’s first fully bonded and corrosion resistant Thermoplastic Composite Pipe (TCP), which is utilised for jumpers, spools, flowlines and risers. Fabienne will be based in Kuala Lumpur following 17 years working in South East Asia. 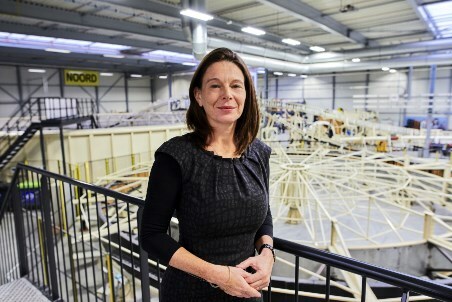 She brings more than two decades of oil and gas industry experience to the company with specialist knowledge of subsea umbilicals, risers and flowlines. Prior to joining Airborne Oil & Gas, her previous roles saw her overseeing subsea construction projects and tenders for Subsea 7, and as Asia’s regional manager for subsea installation at Fugro. Fabienne commented: “Airborne Oil & Gas has a strong reputation in the industry for its reliable, knowledgeable and committed team. I’m confident that together we can support potential clients in the Asia Pacific and Middle East regions to realise the true potential TCP offers including its corrosion resistance, high durability and ease of installation.